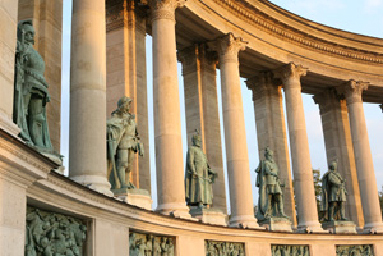 We offer a pre-congress tour for those, who want to get acquainted with Budapest during the trip to Hungary. The highlights of the tour are: boat tour on the Danube with dinner and spectacular fireworks, city tour in Budapest, Budapest Zoo & Botanical Garden, Sas-Hill Protected Landscape Area, Tropicarium. 1) if you do not want to miss the boat tour, you should arrive to Budapest not later than 4 p.m. on 20th August. 2) the tour ends in Veszprém, approx. at 6 p.m. on 22 August, to allow you to participate in the Welcome Reception. You will be picked up at the airport and transferred to the hotel by your Altagra guide. The guide will have an SEH sign in her hand when waiting for you in the arrival hall at the airport. 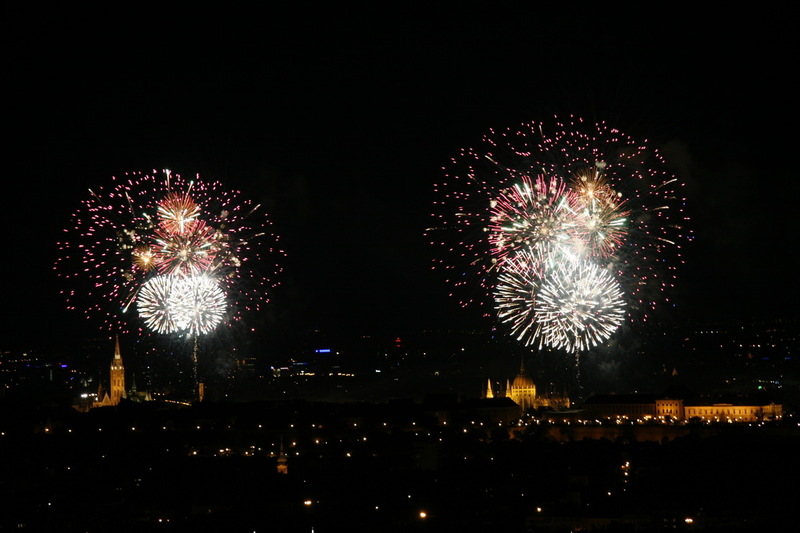 20th August is St. Stephen’s Day in Hungary and it is a public holiday. We celebrate the foundation of the Hungarian state more than 1000 years ago. The new bread is blessed on this day too. Countless programs await both locals and tourists all the day round. Spectacular fireworks will close the day. The city’s unique location makes it one of the most beautiful cities in the world. The hills of Buda and the flat plain of Pest are separated by the sweeping meander of the river which is still blue today on fresh, spring days. Caves, healing thermal springs, nature reserves – and all this in a bustling capital of 2 million people. Among the monuments there is a Roman amphitheatre, genuine Turkish baths, and the special Hungarian variation of Art Nouveau. Many of the capital’s splendours have been awarded UNESCO Heritage status and protection. Participants will be shown a good selection of beautiful sights of this capital, situated on both banks of the river Danube, with a sweeping history that goes back more than 2000 years. Main attraction in Pest side: Heroes’ Square, the City Park, Castle Vajdahunyad St. Stephen’s Basilica, House of Parliament. Main attraction in Buda side: Buda is the older, more historic and more scenic part of the capital. The main attraction here is the Castle Hill, with its breathtaking view over the city and its many historic and cultural monuments, such as the 13th century Matthias Church, the Royal Castle or the Fishermen’s Bastion. 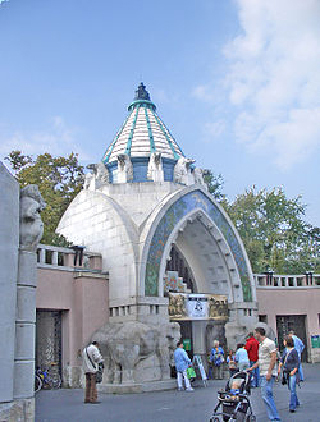 Budapest Zoo & Botanical Garden is the oldest zoo park in Hungary and one of the oldest in the world. 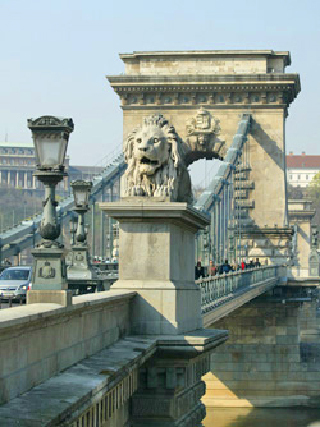 It has 733 animal species and is located within Városliget Park. The zoo opened its doors on August 9, 1866. The park has 1–1.1 million visitors every year. The area is a nature reserve, and has some valuable art nouveau buildings designed by Kornél Neuschloss and Károly Kós. Most special animals there are the Komodo dragon and from December 2011 the Wombat. Altogether 23 amphibian and 116 reptile species are on display in buildings like the Palm House, Australia House and Venomous House, which is home to the largest collection of venomous snakes in Central-Europe. Covering 10,528 hectares of mountainous landscape, the Buda Landscape-protection Area, integral part of Duna-Ipoly National Park, surrounds Budapest from the north-west, and at many points it deeply stretches into the city. One of these “green islands” is Sas-hill, providing spectacular view on the surrounding city. 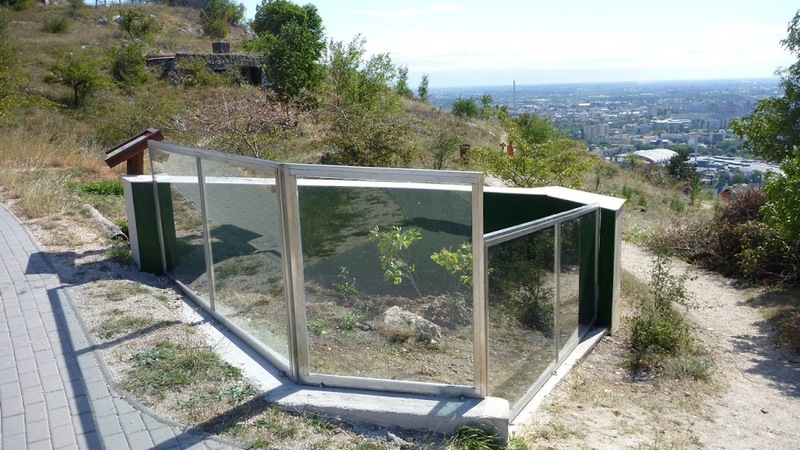 Beside its location the recently renewed Visitor Centre and connecting education trail is an ideal touristic destination for those who want to learn more about its unique flora and fauna. The warmer mediterranian-like microclimate – provided by the South-facing mid-Triassic dolomite rock gardens – is home to such unique plant species like Hungarian seseli, the Buda centaurea and the Buda sorb. 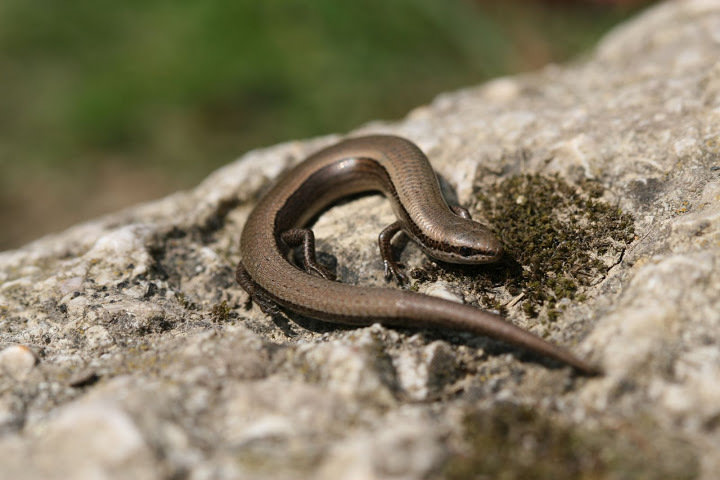 Among many protected species two strictly protected, “flag-ship” species of Hungarian herpetofauna, the Snake-eyed skink (Ablepharus kitaibelii fitzingeri) and Caspian whipsnake (Dolichophis caspius) can be found here. Additionally Green lizards (Lacerta viridis) and Wall lizards (Podarcis muralis) are very common in the area, and two outdoor terraria guarantees sighting of them. 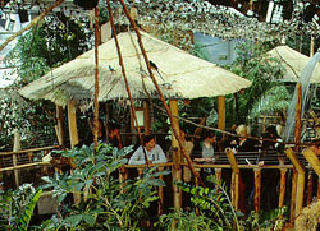 Tropical Oceanarium with an area of almost 3000 m2 offers a combined presentation of the Hungarian fish species, animals living in the tropical rainforest and inhabitants of the deep seas and oceans, on the ‘outskirts’ of Budapest, in Campona Shopping Centre. The largest sea aquarium in Central Europe, containing 1.4 million litres of salt water, with an 11-meter-long observation tunnel, offer a breathtaking sight, where Sand tiger sharks, Leopard and Brown sharks swim only arm’s length from the visitors. In addition to the enormous fish-tank, there are 50 other ‘smaller’ aquariums and terrariums. The freshwater department presents the fish species that live in the beautiful and pristine lakes of Asia and Africa. From the genus of snakes royal pythons, rat snakes, green tree pythons, boa constrictors, bull snakes, red milk snakes and Burmese pythons are on display. Behind the rainforest with Missisipi alligators, in the gallery, a wide collection of colourful reptiles and amphibians can be found, with species like the Blue-tongued skink, the helmeted basilisk, the Panther chameleon, the Malian agama lizard, the Peruvian toad, the Long-nosed horned frog, the Curare frogs, the golden tree climber frog, the Indian monitor lizard, the Asian water dragon, the Malian agama lizard, the bearded dragon, the girdled lizard and the tomato frog, which lives in the rainforests of Madagascar. Note: We reserve the right to change the program elements or their sequence. If you would like to recieve further information on SEH 2013 conference, please enter your e-mail address.